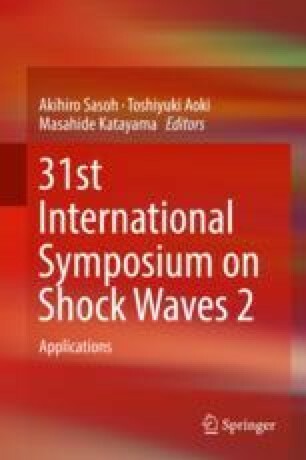 A fully three-dimensional analysis is carried out on an overexpanded rocket engine nozzle configuration to investigate the role of the internal shock-induced separation on the mechanism of generation of side loads during start-up and shutdown transients. A hybrid URANS/LES approach based on the delayed detached eddy simulation turbulence model is used. Reasonable good agreement is obtained between numerical and experimental results. The numerical wall-pressure spectrum shows a narrow peak that a dynamic mode decomposition reveals to be associated with a mode whose characteristics resemble the experimental azimuthal mode believed to be the cause of the generation of side loads.